Underbelly: Chopper, Australian Ninja Warrior, Family Food Fight, Seal in The Voice and Hamish and Andy are all on Nine in 2017. Nine has unveiled its 2017 programming slate today in a marathon event at the Star Event centre in Sydney -complete with dancing brides. Also coming in 2017 are This Time Next Year, reality titles The Last Resort, crime documentary Murder Calls. Married at First Sight is expanded, The Voice confirms Delta Goodrem and Seal, while fan favourites House Husbands, Doctor Doctor and Here Come the Habibs return. New international titles include Planet Earth II, Lethal Weapon, Chicago Medical and Chicago Justice. Yesterday Nine confirmed its 15 regional bulletins with Southern Cross Austereo, to begin in Canberra in February. Vanessa O’Hanlon will present the bulletin in Southern NSW and Canberra. Jo Hall will front the bulletins to be broadcast in regional Victoria. And Samantha Heathwood will front the regional Queensland bulletins. Erin Molan and Dave Thornton will host 20 to One. The Voice still has two more coaches to announce while Australian Ninja Warrior host Rebecca Maddern is joined by two athletes. Hamish and Andy are yet to disclose details on their new show, due in the second half of the year. Ninja Warrior is one of the biggest shows on the planet – a worldwide phenomenon – and it’s coming to Australia. Hosted by Rebecca Maddern, Australian Ninja Warrior will be the ultimate television event to hit our screens in 2017. From 3000 hopefuls only 250 of the very best have been given the opportunity to take on the biggest and most challenging outdoor sports course in the world. Set on the mythical “Ninja Island”, Australian Ninja Warrior will be the ultimate test of strength, stamina and mental toughness. Who will be the first Australian Ninja Warrior? Produced by Endemol Shine Australia. Big characters, Bold recipes and Beautiful food: Family Food Fight is a fresh, exciting and relatable take on food. In this competitive cooking series, diverse and multi-generational Australian families will go head-to-head in high-pressure cooking challenges to not only win the experience of a lifetime but also take home the title of “Australia’s Greatest Food Family”. Inspired by real home cooking and family food traditions, Family Food Fight will serve up extraordinary feasts unlike anything we’ve seen before. Produced by Endemol Shine Australia. Karl Stefanovic will bring viewers the inspirational new series, This Time Next Year, which will see everyday Aussies achieving monumental personal goals over the most challenging and rewarding year of their lives. This ground-breaking format will follow the journeys of people wanting to make their ambitions a reality over the course of a year, delivering instantaneous transformations in “time-travel” style. Once each pledge is made the participant will reappear just moments later, completely transformed 12 months on. Produced by Nine. A beautiful tropical island is the backdrop to a real-life soap opera as five long-term couples take part in a bold social experiment in an attempt to save their troubled relationships. The couples have all reached rock bottom – struck by problems of infidelity, trust, and intimacy. At the end of the month, after an intensive relationship bootcamp with Australia’s leading relationship experts, will our couples call it quits or commit to each other forever? Produced by Nine. House of Bond tells the outrageous rags-to-riches-to-rags tale of controversial business tycoon Alan Bond (Ben Mingay) and how he fought his way from the back alleys of Fremantle to become the richest man in Australia and one of our greatest sporting heroes. The mini-series co-stars Rachael Taylor (Red Dog) as Diana Bliss, Adrienne Pickering (Rake) as Eileen Bond and Sam Neill (House of Hancock) as Roland “Tiny” Rowland, with Samantha Jade, Gyton Grantley, Marcus Graham, Anne Looby, Johnny Ruffo, Roy Billing, Paul Gleeson and Jack Campbell. House of Bond is produced by CJZ for the Nine, directed by Mark Joffe and written by Sarah Smith, with the assistance of Screen Australia and Screen NSW. The groundbreaking Underbelly phenomenon is back with the untold, uncut story of Mark “Chopper” Read, Australia’s most notorious gangster, who cut a swathe through the criminal underworld in the 1970s, 80s and 90s. 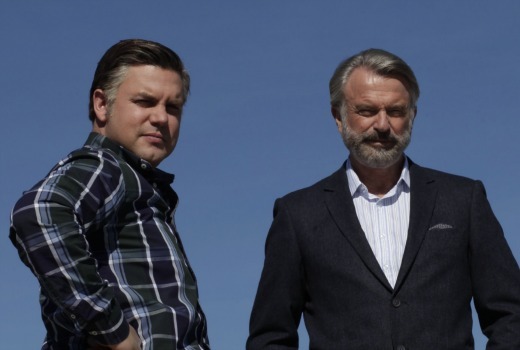 Underbelly Files: Chopper will be produced by the makers of Underbelly, Screentime, for Nine. In this hilarious new series, six groups of ordinary Australians – families, couples and friends – take on the job of travel critics. Our travel guides experience the same week-long international and domestic holidays, and review the same accommodation, cuisine, and local sights. But one person’s idea of paradise can be another’s idea of hell. Produced by Nine. Murder Calls is a crime documentary series investigating extraordinary murder cases from Australia. In each murder case the investigators get a phone call which leads to a key clue…a clue that exposes the murderer. The series is a true-life, accounts of heart-wrenching stories and the unrelenting determination of detectives to solve the case. Produced by Screentime. Join Sophie Monk and comedian Nick Cody in this hilarious new series as they bring you the weirdest families, wildest animals and some of the greatest fails ever to be caught on camera. Produced by Nine. The A List is an exciting new eight-part entertainment program hosted by Nine Entertainment Editor, Richard Wilkins. This series will feature in-depth interviews with the world’s most topical and talked-about artists, actors and A-list superstars. In similar fashion to Inside the Actors Studio, The A List will be enthralling, amusing and highly entertaining. Produced by Nine. The funnymen of radio and television are set to return to Nine in a brand new series. 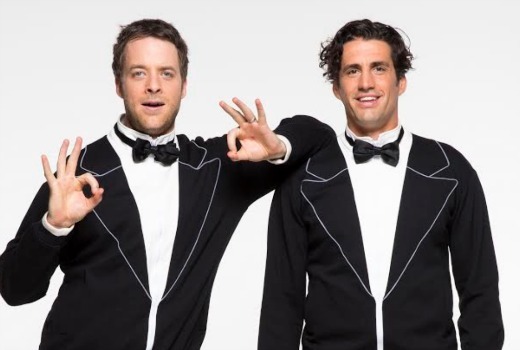 Hamish & Andy, who previously fronted four hugely successful Gap Year series for Nine, as well as two Caravan of Courage specials, will star in an all-new format, set to be one of the most exciting programs in recent years. Full details about the bold new concept will follow in 2017. Produced by Radio Karate. Australia’s most controversial social experiment is about to get a whole lot bigger when it returns in 2017 for the fourth and most explosive series yet. In this supersized fourth series, three expert matchmakers will have the mammoth task of pairing 20 brave singles, using a mix of neuroscience and psychology to try to create 10 perfect matches – twice as many as before. Australians will fall in love with Married at First Sight all over again. Produced by Endemol Shine Australia. The runaway success of The Block in 2016 proves that Australia’s engagement with memorable characters caught in the maelstrom of renovation reality continues unabated. Scott Cam, Shelley Craft and the gang will be back to challenge a fresh batch of Blockheads returns for its 13th series in 2017 that will be bigger and better than ever. Produced by Cavalier. After another explosive year, The Voice returns with Season 6 in 2017. 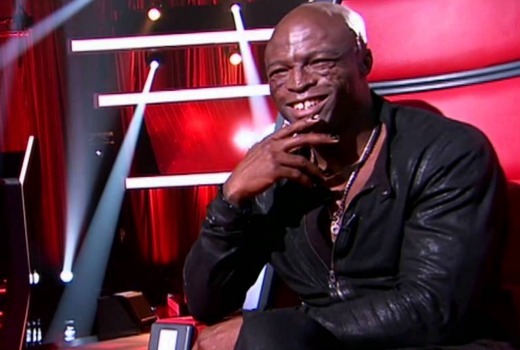 Australia’s own Delta Goodrem will defend her title as winning Coach, and in 2017 is rejoined by The Voice’s most successful Coach, Seal, who is back to reclaim victory. With more Coach announcements still to be revealed, who else will be turning their red chairs to find Australia’s next great Voice? Produced by ITV Australia. Love Child, Australia’s much-loved drama, returns to Nine in 2017 for a fourth series, with an impressive cast including Jessica Marais, Mandy McElhinney, Miranda Tapsell, Sophie Hensser, Andy Ryan and Harriet Dyer. It’s now 1972, the year of Gough Whitlam’s election, free education and immigration. With new faces, a cover-up and a shocking death, the men and women of Love Child will face their greatest challenges yet. Love Child is produced by Playmaker Media for Nine with the assistance of Screen NSW. It’s trouble with an “H” as the Habibs return to Nine in 2017. Comic mayhem engulfs the ritzy (middle) Eastern suburbs as lottery winner Fou Fou Habib and his family resume hostilities with their blueblood neighbours, the O’Neills. All your favourite characters return for series two of Here Come the Habibs: head of the Habib household Fou Fou (Michael Denkha), his wife Mariam (Camilla Ah Kin), their wannabe entrepreneur son Toufic (Sam Alhaje), social media queen Layla (Kat Hoyos), lovestruck Elias (Tyler De Nawi), plus family hangers-on Jahesh (Rob Shehadie) and Mustafa (Tahir Bilgic). Returning on the other side of the fence are O’Neill matriarch Olivia (Helen Dallimore), her downtrodden husband Jack (Darren Gilshenan) and daughter Madison (Georgia Flood). Here Come the Habibs is produced by Jungle, in association with Ronde, for Nine with the assistance of Screen Australia and Screen NSW. The nation has fallen in love with Doctor Doctor, with an average of more than 1.8 million Australians watching each week. This new smash-hit drama series with heart is just what the doctor ordered. The outstanding cast of Rodger Corser (Hugh), Nicole da Silva (Charlie), Steve Bisley (Jim), Ryan Johnson (Matt), Tina Bursill (Meryl), Hayley McElhinney (Penny), Matt Castley (Ajax), Chloe Bayliss (Hayley), Charles Wu (Ken) and Belinda Bromilow (Betty) will all be back for series two in 2017. Doctor Doctor is produced by Essential Media & Entertainment for Nine with the assistance of Screen Australia and Screen NSW. Hugh Sheridan and Delta Goodrem join the all-star cast of Julia Morris, Gary Sweet, Firass Dirani, Rhys Muldoon, Natalie Saleeba, Louise Siversen and Jane Allsop for series five of House Husbands. In this series the gang pick up one year later and the winds of change are blowing through Nepean South. The kids might be growing up fast, but our favourite dads still have a lot to learn when House Husbands returns. House Husbands is produced by Playmaker Media for the Nine with the assistance of Film Victoria. In partnership with Nine, the globally successful Hi-5 franchise makes a grand return to Australian free-to-air television with a brand new series, set and cast – reinvigorated by the original creative team of Australian producers and writers. Casting auditions commence tomorrow, with the new series set to premiere next year. Produced by Hi-5 Australia Pty Ltd for Nine. The NRL and AFL editions of The Footy Show return for their 24th seasons in 2017, with all the latest-breaking stories and loads of fun from the world of footy. Each week our hosts are joined by some of the biggest names in the game as they provide expert analysis on all the weekend’s matches. Also returning are The Sunday Footy Show and Footy Classified. Leading 20 to One’s latest assault on pop culture are new hosts Erin Molan and Dave Thornton. They’ll be diving into the wonderful world of online viral megastars, and incredible commercials from around the world. A new series of RBT will go behind the frontline in 2017. From major roadside drink-driving operations to high-speed pursuits, RBT captures all the drama and danger that police in Australia face every day in their relentless campaign against drink and drug driving. Getaway, Australia’s longest running and most popular holiday and travel television program, will continue to take you around the globe in 2017 uncovering the most beautiful places and tasting the most delicious food– and you don’t even have to leave your living room. Millionaire Hot Seat returns with Eddie McGuire at the helm for its ninth year in 2017. A regular week night feature on Australia’s television screens, Millionaire Hot Seat continues to make dreams come true, giving away more than $38 million in prizemoney to over 9000 Australians since the series began. Postcards is back for its 19th season in 2017, discovering all of Victoria’s best lifestyle and travel destinations to impress daytrippers and holidaymakers alike. In 2017, Matt and Kim will continue to embark on amazing renovations which transform the lives of deserving Aussie families in Matt and Kim to the Rescue. When news breaks, people turn to Nine News – the most trusted source of news in Australia. We have the most experienced presenters, bringing viewers the most relevant and credible news coverage in the nation. Australia’s number one weekly public affairs program has been informing and entertaining viewers on Sunday nights since 1979. In 2017, 60 Minutes returns for its 39th series. Tracy Grimshaw returns as host of the program that has become an institution. A Current Affair listens to its viewers and tells the stories that matter most to the people of Australia. A Current Affair goes into battle for the underdog and gets results for people that make a meaningful difference to their lives. It aims to provide news and information that is useful in the day-to-day lives of ordinary Aussies. Today, Australia’s most popular breakfast show, will also return in 2017. Hosts Karl Stefanovic and Lisa Wilkinson, along with Entertainment Editor Richard Wilkins, News presenter Sylvia Jeffreys, Sports presenter Tim Gilbert, Weather presenter Steve Jacobs and Finance Editor Ross Greenwood, will bring you all the latest in news, current affairs, sport, politics, entertainment, fashion, health and lifestyle from Australia and around the world. The team’s We Love Australia trips will also return – taking viewers on more wild and crazy adventures, with more cash giveaways and exclusive interviews. 2016 was a big year for Today but the gang have plans to make 2017 absolutely enormous. Sonia Kruger and David Campbell will return to our screens for Today Extra in 2017 and continue to bring the latest in news, current affairs, fashion and celebrity gossip into lounge rooms across Australia throughout their morning. Australians will continue to start their weekend on a high, joining Deb Knight, Peter Stefanovic, Natalia Cooper and Jayne Azzopardi for Weekend Today as they continue to deliver all the latest in news, current affairs, sport, politics, entertainment, fashion, health and lifestyle from Australia and around the world. In 2017, the TV Week Logie Awards will be in their 59th year, recognising excellence on Australian television throughout 2016. Channel Nine broadcasts the awards that are presented annually to honour individuals and programs for their outstanding achievement to Australian television. The magical Christmas Eve tradition of Vision Australia’s Carols by Candlelight will return for its 80th year in 2017, with a spectacle that promises to be as captivating as ever from the Sidney Myer Music Bowl in Melbourne. A host of familiar faces will get together again to show you how to make the holidays extra special when Channel Nine presents Christmas with The Australian Women’s Weekly. Nine will again be home to the Oscars when the 89th Academy Awards honour the best films of 2016. Wide World of Sports will be back in 2017, giving viewers the best seat in the house for all their favourite sports. The most outstanding sports department in the world will lead the way through great innovations, expert commentary, unprecedented access and the closest pictures – all Live and Free. Nine has been the home of cricket in Australia for the past 40 years, bringing sports fans all the action of international Test series, One-Dayers and T20s. In 2017, Nine’s cricket broadcast and second-screen experience will take viewers to a new dimension of sports watching – engaging them in every wicket, every ball, every moment. Pitch Scan is the latest world-first innovation in the grand tradition of Wide World of Sports broadcast developments that have included Snicko, HotSpot, Ball Tracker and the Speed Gun. In addition to a world-class broadcast, cricket fans will be able to watch every ball of Nine’s coverage on their phone, tablet or PC with the Cricket Australia Live Pass streaming subscription. The website www.cricket.com.au will carry full highlights of every day’s play so fans don’t miss a moment of the action. Watching Australia’s favourite national sport has never been so good. In what other sport can you witness gladiator-style action, excitement and passion than rugby league? Nine’s commentary team is the best in the business, with Australia’s legends of the game giving footy fans the inside scoop on players and coaches with their expert analysis and insights. New cameras, angles and access will also put Nine at the forefront of NRL broadcast innovation. Nine is also home to one of the greatest events on the Australian sporting calendar – the Holden State of Origin Series. Three games of State v State, Mate v Mate. Passion, rivalry, hatred and birthrights all come together in an explosive concoction. In 2017, 9GEM is the new home of netball and Saturday night is the place to watch it. From February through until June, Wide World of Sports will broadcast two games of the new-look national league, Suncorp Super Netball, in prime time on Saturday night. Our world champion Diamonds will then take centre stage in August against New Zealand, England and South Africa in the Quad Series and back up against New Zealand to defend their Constellation Cup title. All international matches will be live, free and exclusive on 9GEM. The netball season wraps up with a walk on the wild side with the Fast5 World Series – the top six countries in the world competing in the fast-paced, spectacular five-a-side version of the game, with every minute exclusively live and free on 9GEM. Football fans are also the big winners with Nine now the home of the Socceroos – broadcasting all their 2018 FIFA World Cup Qualifier matches in 2017. Sunday morning’s Wide World of Sports program is an institution in Australian television, celebrating 36 years on air in 2017. Returning to Nine in February, the popular show will again bring sports fans interviews with the world’s biggest sporting names and the world’s best sporting vision. A decade ago, Planet Earth redefined natural history filmmaking, giving us the ultimate portrait of life on Earth. In one of the most ambitious landmark series, Planet Earth II allows us to experience the world from the viewpoint of the animals themselves. Presented by Sir David Attenborough, Planet Earth II was the most watched natural history programme in the UK for more than 15 years. 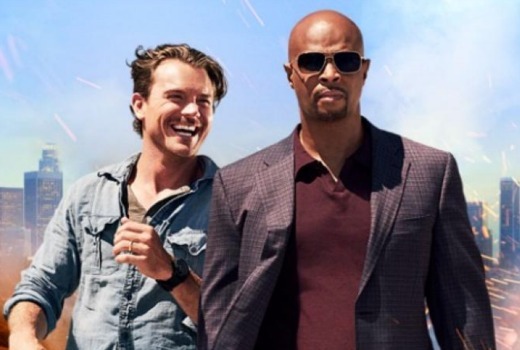 Lethal Weapon reboots the classic hit movie franchise following classic cop duo Riggs and Murtaugh working a crime-ridden beat in modern-day Los Angeles. Chicago Justice is a captivating legal procedural following a committed team of prosecutors and investigators tackling high-profile cases. Chicago Medical takes us on an emotional thrill ride through the day-to-day chaos of the city’s most explosive hospital and the courageous team of doctors, nurses and staff who hold it together. The Big Bang Theory continues to be the hottest international comedy on Australian television and Nine brings viewers all NEW episodes in 2017. Britain’s Got Talent is back in 2017 with more exhilarating performances from contestants who promise to entertain, inspire and capture the hearts of viewers from around the world. I’ll be watching 9 in 2017.